Oldham continues to miss out on the changing face of the economy as professional, scientific, technical employment increased by 18.3% between 2009-2014 and business administration & support services grew by 18.2% whilst Oldham Council’s chosen industry expansion for the Foxdenton development and Hollinwood old gas works, the transport & storage industry, grew by just 2.5%. 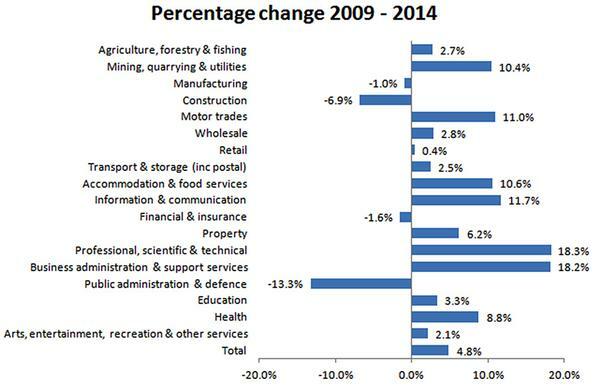 The transport & storage industry has the lowest gross value added ratio of any indusrty sector and along with it’s larger defined economic bedfellows known as “wholesale and retail trade, transport, accomodation and food services” July 2015 statistics show average weekly pay within this group was £138 lower than any other industry sector. Oldham Council’s multiple “flagship & “gamechanger” projects all fall within this lowest paid industry grouping as will the majority of jobs these schemes deliver post construction at Foxdenton, Hollinwood, The Town Hall Cinema, Hotel Future and Prince’s Gate.